With any new mattress purchase begins the hunt for the best mattress protector to go with it. A great mattress is meticulously selected based on a series of sleep preferences—firmness, feel, cooling, sinkage, hug. The list goes on and on. 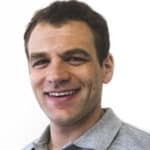 The last thing anyone wants to do after getting the mattress just right is to top it with a bulky, dense, or cheaply made mattress protector that completely changes the feel of the mattress. But accidents happen and mattresses wear. A good mattress protector not only protects the investment from stains and spills, but also from dirt, dust, bedbugs (encasement protectors only), or other allergens that could damage or shorten the life of the mattress. Designed to sleep cool all night long, the Malouf Sleep Tite IceTech mattress protector is great for those who sleep hot. The mattress protector we’re going to look at today is Malouf’s Sleep Tite IceTech protector. Will this protector be able to hold up to the worst spills and stains—and can it do so without changing the feel of the mattress underneath? Let’s get started and find out. In a hurry? Click here to jump right to the summary. The Malouf Sleep Tite IceTech mattress protector is a five-sided, waterproof protector that is designed to protect from liquid spills, dust mites, dirt, allergens, and other damage. The top is a thick, quilted cover that is made of Malouf’s unique “IceTech” fabric, designed to prioritize cooling. This IceTech material is very slick and cool to the touch with a nice stitching pattern. The IceTech fabric serves two functions. It dissipates heat, and the stitching pattern helps to limit the spread of liquid spills. The sides of this protector are a polyester blend that provides protection, but with an added softness that’s more like the feel of a sheet. 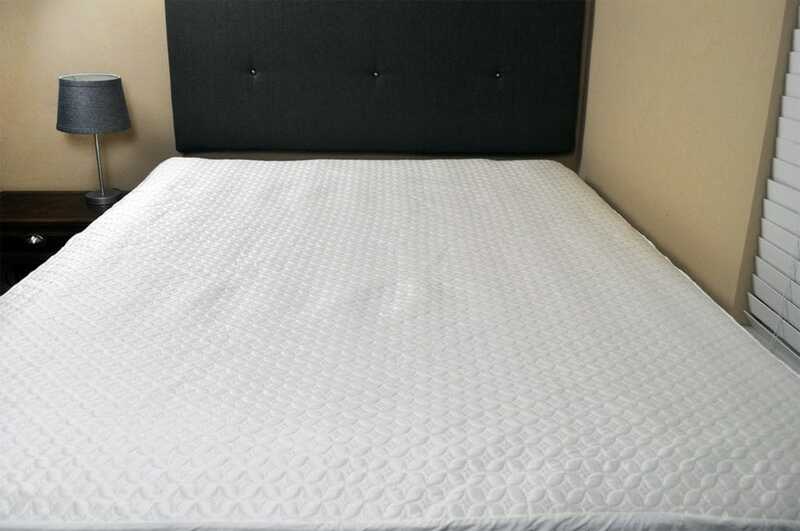 This mattress protector is available in Twin, Twin XL, Full, Full XL, Queen, split Queen, King, split King, California King, and split California King sizes. It fits mattresses from 6″-22″ deep. Protect the mattress – A good mattress protector is able to protect from virtually anything, including liquid, dirt, dust mites, and other allergens. Protect with virtual invisibility – A good mattress protector will protect the mattress from all possible stains or damage listed above, but does so undetected to preserve the original feel of the mattress. 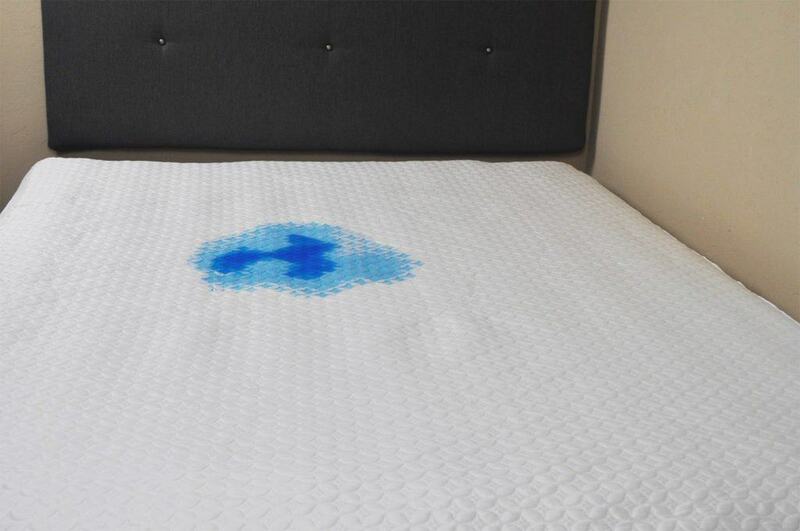 A liquid spill is one of the most common threats a mattress may encounter. In some cases, a spill occurs and can be cleaned up quickly, while other spills can go undetected for hours without anyone noticing. To simulate these types of accidents, we put the Sleep Tite IceTech mattress protector through a series of tests. This first test is short and represents a spill that happens quickly, is noticed immediately, and cleaned without too much time to set in. Will the mattress be saved after all? Or will the spill be too quick? Spill Test – In this test, I dyed 16 ounces of water, poured it onto the protector, let it sit for two minutes, and then cleaned the protector. After the two minutes were up, I simply removed the protector from the mattress and threw it in the washing machine. 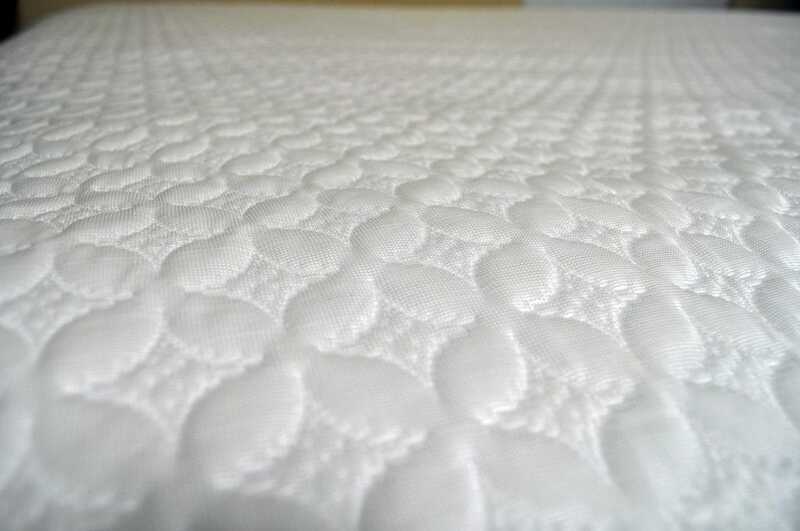 After Wash Cycle – After a normal wash / dry cycle, this mattress protector showed no signs of color retention or other damage. This protector successfully protected the mattress from the liquid stain, and after the wash, was in like-new condition. This next test is a longer duration and represents a spill that happened at some time, but wasn’t noticed until hours later. It may have even already soaked in. Will a wash / dry cycle be able to save this set-in stain? Spill Test – For this test, I dyed 16 ounces of water, poured it onto the protector, let it sit for eight hours, and then tried to clean the protector. After the eight hours were up, I removed the protector from the mattress and threw it in the washing machine. After Wash Cycle – After a normal wash cycle, the Malouf Sleep Tite IceTech mattress protector showed minimal signs of staining and color retention. This protector successfully protected the mattress from the liquid stain, but after the wash, left some signs of stains from the dye used. The stain was noted prior to the drying cycle and the protector was re-washed and then dried. After two washes and one drying cycle, the protector still retained some of the dye and stained it. That being said, the stains were not where the original dye soaked in. The stains were located on the outer edge of the mattress protector so I’m not 100% sure what happened here or if it would happen with other spills that didn’t involve food dye. The mattress underneath was not effected, so I guess you could say it still did its job—but it’s worth noting, for sleepers who want their mattress protector to remain in like-new condition. This mattress protector also protects from allergens, dust, and dirt particles. The ultra-deep pockets provide a nice snug fit for a variety of mattress thicknesses, while still leaving enough material to tuck it securely under the mattress. For the ultimate protection from these types of allergens, I would recommend Malouf’s Sleep Tite six-sided mattress encasement with a zippered closure. In comparison, a five-sided option like the Malouf Sleep Tite IceTech mattress protector is just never going to be as effective as a six-sided zippered mattress encasement. Regarding noise, this mattress protector does a pretty good job of being invisible. While it is not the quietest protector on the market, it is immensely better than the traditional cheap protectors. What this mattress lacks in quietness, it makes up for in cooling. The Malouf Sleep Tite IceTech protector has extremely impressive cooling. It is cool to the touch initially as well as during sleep. In general, adding a mattress protector will not make a mattress cooler, but it does help a mattress to not retain any additional heat. Who should buy the Malouf Sleep Tite IceTech mattress protector? Want a five-sided protector – A five-sided protector provides extra protection for a mattress, but without the hassle of wrestling with an actual mattress encasement (that has six sides). Want a cooler protector – If cooling is critically important to a sleeper, this protector is extremely hard to beat. Not only is the Malouf Sleep Tite IceTech mattress protector cool to the touch, but it remains cool during sleep. For a mattress that sleeps a little warm, this protector could also be used to help it sleep cooler than it would without the protector. Want a waterproof protector – Protection from liquid spills is a very important job for a mattress protector. 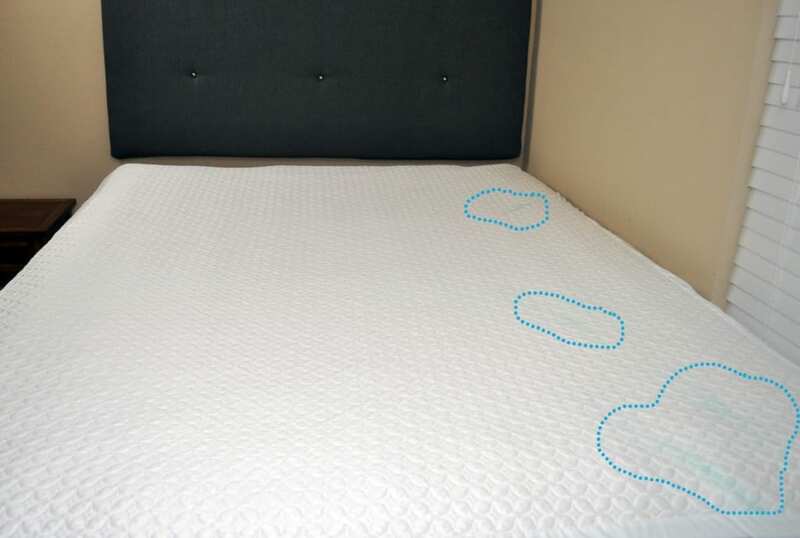 Not only is this mattress protector resistant to liquid spills, but it also has a unique stitching pattern that keeps spills from excessively spreading. This mattress protector was able to protect the mattress from liquid spills so it was waterproof, but it wasn’t quite stain proof since the eight hour dye test did leave stains. Don’t mind spending a little extra – This protector comes in as one of the most expensive on the market. At $209 for a queen, it’s no cheap protector by any stretch, but for sleepers looking for the qualities listed above who want durability and a product that will last, this an excellent option. For more information the Sleep Tite IceTech mattress protector visit Amazon.com. 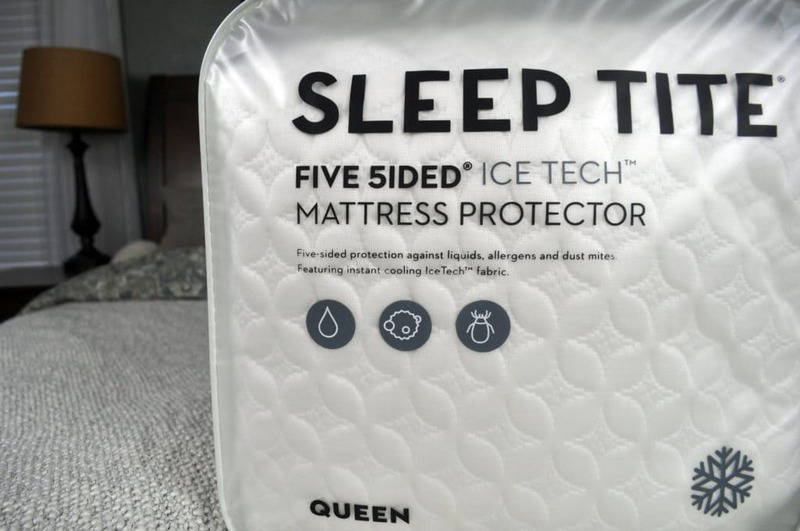 The Malouf Sleep Tite IceTech mattress protector provides excellent 5-sided liquid and particle protection, but what really makes this mattress protector special is the coolness of the IceTech material. The IceTech material can help create a cooler sleeping surface for many sleepers. It’s certainly not cheap, but for those who sleep warm the added cost may be worthwhile.